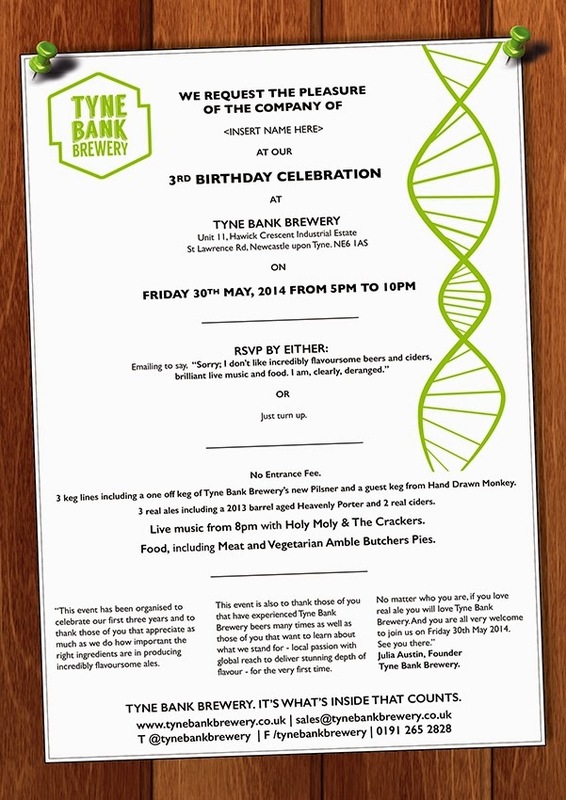 Tyne Bank Brewery: 3rd Birthday Party. On Friday 30th May we celebrate our 3rd Birthday, and we're throwing a party! Come and join us at the brewery for an evening of great beer, food and live music. We're throwing open the brewery doors and you're all invited. There will be a pop up bar serving a selection of our cask and keg ales, including some rare treats all at very reasonable prices. We will also have some delicious keg beer from our friends at Hand Drawn Monkey, and a selection of traditional ciders for those who prefer something fruity. The Amble Butcher is providing a choice of tasty pies both meaty and meat free, to help soak up all the lovely booze so you can enjoy the whole evening with us. We are really happy to have live musical entertainment from the fantastic Holy Moly and the Crackers. This great local band will be finishing their spring tour at our party with their infectious and unique sound. They "are influenced by an eclectic range of styles and artists; the honest grit and gravel of Woody Guthrie, the gypsy bone-cage burlesque of Gogol Bordello, the spectral clarity of Joni Mitchell. 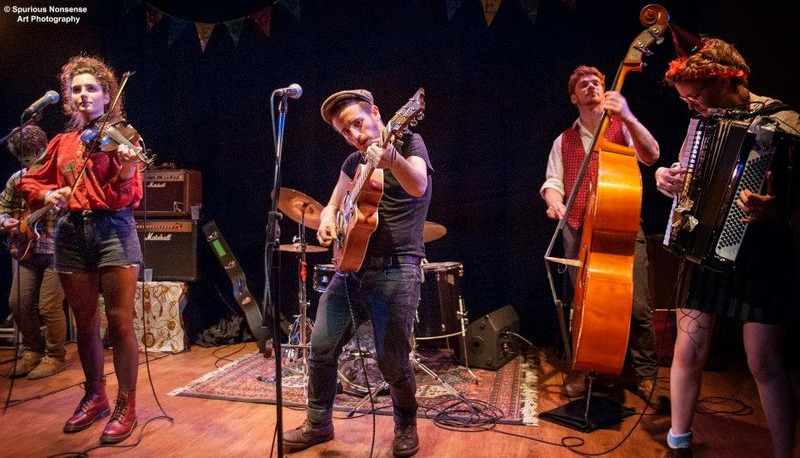 As such they play a moonshine mix of Romani, Americana and contemporary British folk - rock." In other words, the perfect band to dance to with a few beers. Check them out here. We really hope you can join us, it's set to be highly enjoyable evening. Friday 30th May, from 5pm at the Brewery.